Clare Lake one of the hosts at Gold Martin is a textile designer working for some of the top names in the industry. 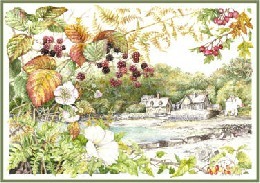 She has designs with M&S, Laura Ashley, Bedeck and Jane Churchill plus many more. 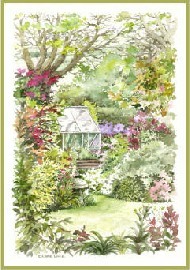 She is also a botanical, floral and garden painter. Paintings by Clare Lake that you will see around the house are generally for sale, she will also undertake commission work of your favourite flowers, garden or house.